Among New England’s wildest places, Maine’s Lakes and Mountains region is an epic adventure waiting to happen. With high peaks, abandoned gem mines, ghost towns, and miles of trails, there’s plenty for hikers, bikers, and paddlers alike. For a place that feels a world away from Portland’s bustling waterfront, though, it’s a surprisingly quick trip (one of our favorite spots is just 30 minutes from downtown). With so much to do, it can be difficult to decide where to start. This region claims 10 of Maine’s highest peaks, and it seems like every small town’s got a local swimming hole or a trail that leads to a waterfall. But for one perfect weekend in the Lakes and Mountains, these are our top picks for what to eat, drink, and explore. Adventure might beckon, but first? Coffee. The tiny town of Norway is home to Cafe Nomad, one of the best stops for a deep woods cappuccino and breakfast burrito. Think stacks of blueberry pancakes dripping with locally-sourced maple syrup, while hearty bowls of granola are provided by Nezinscot Farm, Maine’s first-ever organic dairy. For country-style charm, keep driving to the Gingerbread House Restaurant in Oquossoc, near Rangeley Lakes. A cozy fireplace and expansive deck make this a good option year round. The Oquossoc French toast is a legend: sourdough baguettes are infused with warm spices, then served under a blanket of powdered sugar. Heading straight into the woods with a camp stove and coffee maker? Pick up a bag of freshly-roasted beans from Carrabassett Coffee Company, which turns out small batches of single-origin coffees from around the world. The Bigelow Range is known as one of the prettiest sections of the Appalachian Trail. Endless trails wind through the woods up here, including long sections of the iconic Appalachian Trail and the Northern Forest Canoe Trail, the longest paddling trail in the Northeast. The highlights? 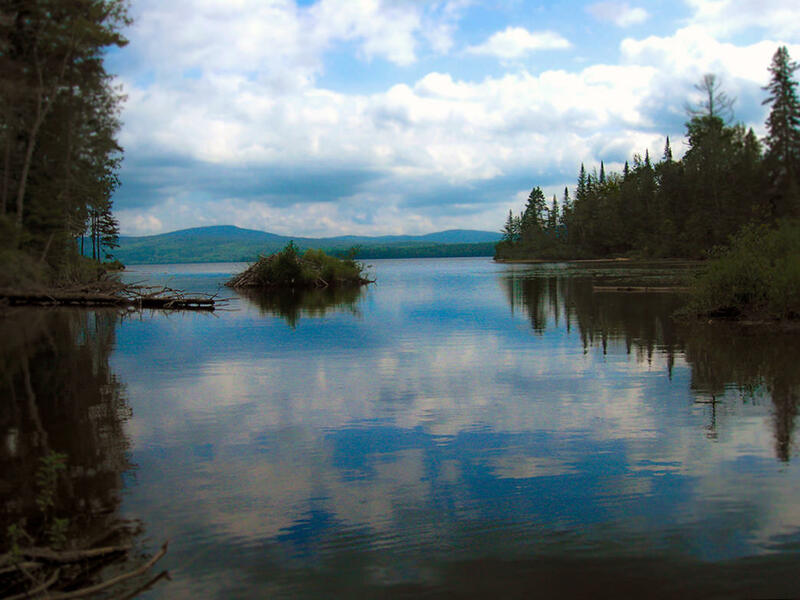 The Northern Forest Canoe Trail goes straight through the Rangeley Lakes, a cluster of six lakes linked by ponds and streams. A day-long paddle on any of the lakes is great for bird-watching and spotting moose in the early morning hours. Or you can come to shore at the Hunter Cove Wildlife Sanctuary, a point of interest on the Maine Birding Trail. 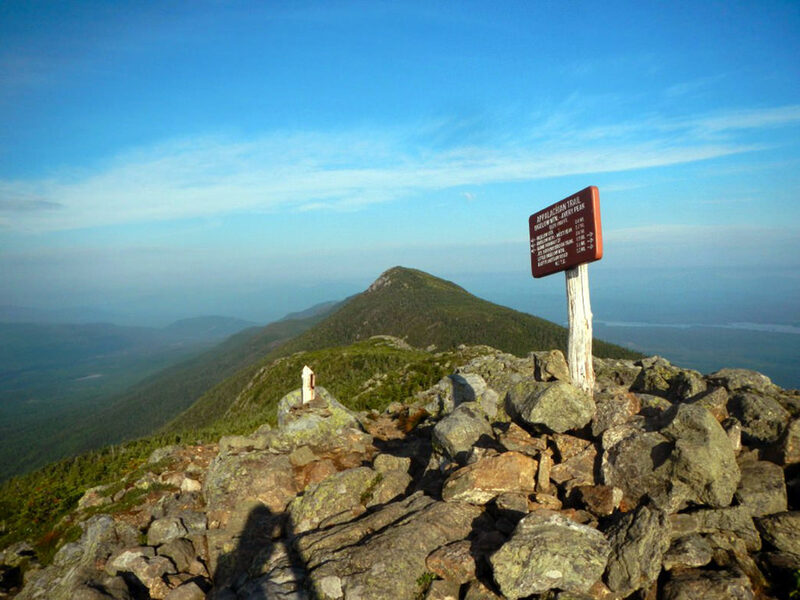 While the 100 Mile Wilderness is among Maine’s most famous Appalachian Trail sections, many hikers cite the more westerly Bigelow Range as one of the prettiest parts of the trail. For ultra-fit hikers, the epic, 16.3-mile Bigelow Range Traverse is a goal worth training for. This rugged section offers great views of Flagstaff Lake. Wrapping around the Bigelow Preserve and Flagstaff Lake is Maine Huts & Trails, where you can access a series of super comfortable, off-the-grid cabins on a beautiful trail network. They’re ready for cross-country skiing, fat biking, and snowshoeing in the winter, but ideal for hiking, birdwatching, and mountain biking in the summer months. There’s also Flagstaff Lake, the largest artificial lake in Maine. Created by a hydroelectric dam on the nearby Dead River, the lake flooded the town of Flagstaff, whose granite foundations can be seen beneath the water on guided, historic boat tours of the ghost town site. Rangeley Lakes is the perfect spot to spend a weekend. Right at the edge of the Rangeley Lakes, the Rangeley Tavern is a favorite for dinner or just drinks. In summer, snag a rum punch from the bar and then relax in one of the Adirondack chairs that overlook Haley Pond. After a day in the woods or on the water, the region’s breweries are a great spot to kick back with a locally-made pint. Named for the rock that underlies the northern mountains, Gneiss Brewing Company pours super-drinkable German-style beers. The tasting rooms are only open on Fridays and Saturdays, but joining the local crowd at the forest brewery makes it worth planning for. 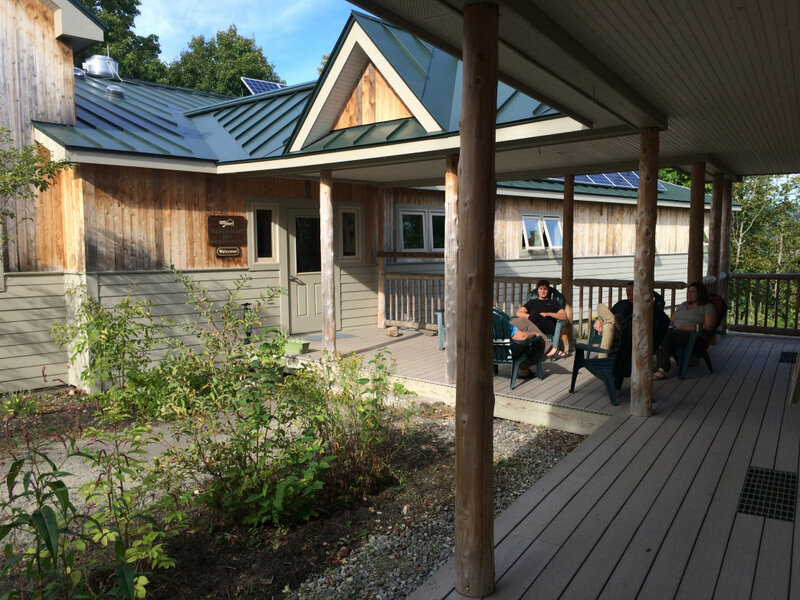 In the historic town of Fryeburg, a jumping-off-point for kayak and canoe adventures, Saco River Brewing opens their doors for weekend tastings. Flights of pale ales, IPAs, and porters are served on canoe paddles, and 302 Riverside Drive-Up is just next door with beer-friendly burgers, seafood, and snacks. Spend your afternoons lounging around European-style cabins at Maine Huts & Trails. If your dream weekend escape involves your own tiny cabin, there’s a lot to choose from. A stone’s throw from a floating dock and sandy beach are Bayview Cabins, a cluster of lakeside cottages in Naples with canoes, kayaks, and paddle-boats for rent on site. And with sites scattered through the pine forest that lines the Saco River, Woodland Acres Campground is ideal for paddlers. The laid-back campground provides a car shuttle to campers, so you can paddle or float downstream, then catch a ride back to your tent. These are just a few of the many ways to spend a weekend in Maine’s Lakes and Mountains region. For more information, request a copy of our Free Visitor’s Guide here. Originally written by RootsRated for Maine’s Lakes and Mountains Tourism Council.